The Tiffen 3 x 3" Softnet White 3 Filter is a softening filter meant to replicate the look of draping silk over the lens in order to soften or diffuse light. 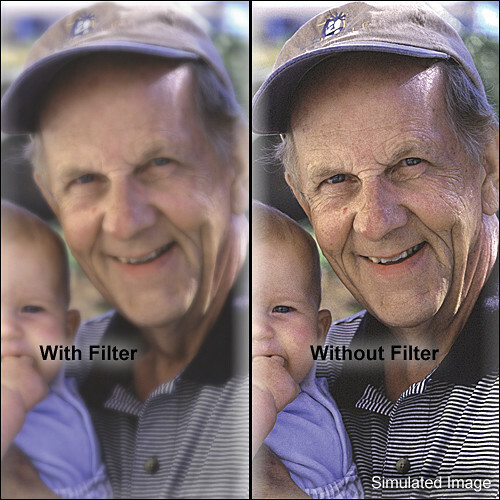 This filter works by scattering light entering the lens through a mesh pattern, resulting in an overall soft glow. The white distinction provides even diffusion and lessening of contrast within the scene. The 3 density provides more softening than the 2, but less than the 4. White distinction provides more diffusion and lessening of contrast within the scene to create a more glowing appearance.